Amazing structures are being printed on a regular basis around the globe. At Kyoto University in Japana, researchers have used 3D bioprinting to develop tubular conduits that regenerate nerve cells that are damaged. Excitingly, the Kyoto University researchers found that the 3D bioprinted conduits helped to promote nerve regeneration in the rats at a faster rate than the silicone tubes, providing evidence that 3D bioprinting could someday be used to help patients recovering from nerve injuries. The researchers measured the metatarsal swing, muscle action potential, and neural cell expression in the rats, finding that the 3D bioprinted conduits were better for improving recovery on all counts. The wet muscle weight of the tibialis anterior muscle was also found to be higher in the 3D bioprinted group than the silicone group. In light of their discoveries, the Japanese researchers determined that 3D bioprinted conduits can be used to effectively promote nerve regeneration. “We confirmed that scaffold-free Bio 3D conduits composed entirely of fibroblast cells promote nerve regeneration in a rat sciatic nerve model,” they wrote. 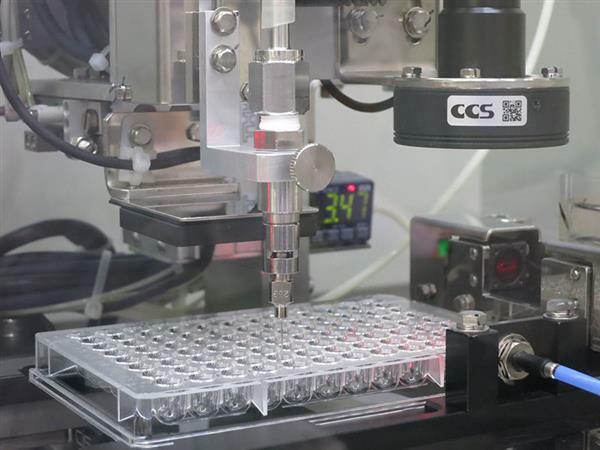 If the success of the project could be duplicated on human subjects, the 3D bioprinting research carried out by Kyoto University and Cyfuse Biomedical could have a significant impact upon the medical world. In Japan alone, 5,000 to 10,000 people suffer nerve-related injuries annually because of work-related accidents and other reasons. A clinical trial is expected to take place in 2019. The printer they used (Regenova from Cyfuse) may be a bit over your budget for the average lab but as one can see it certainly did the job. Read the article below to see how Kyoto University and others have used 3D biorprinting.